By DO U KNOW ME? GROWING UP IN THE SAME AREA AS NIPSEY AND SEEING HIM BEFORE HE STARTED RAPPING AND SEEING HIM NOW MAKES ME FEEL LIKE EVERYONE HAS A CHANCE TO TURN A NEG. INTO A POSITIVE. 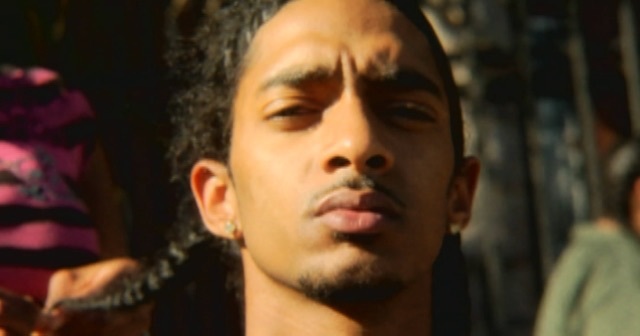 I BEEN FOLLOWING NIPSEY SINCE HE FIRST STARTED AND I WOULD HAVE TO SAY THAT I M VERY PROUD OF HIM FOR DOING HIS THANG. . . MUCH LOVE COMING FROM CRENSHAW AND SLAUSON. . .
Do you have your own beats? This is "Jump" from Kris Kross. This joint reminds me of Cali of old! Great beat, cool lyrics and just that LA feel. Let's just keep the gang banging to a minimum! LOL ... Naw, I for real! The West Coast is BACC!!! This song is crazy! Heard it a on one of his mixtapes and it's been one of my favorite joints ever since. The video looks hot. This is like Snoop all over again. This kid is gonna be big in the rap game, i promise!! Look out for dude !!!!! I'm from orlando, fl and this is a banger. Never heard of him, but will be checkin for his music now.